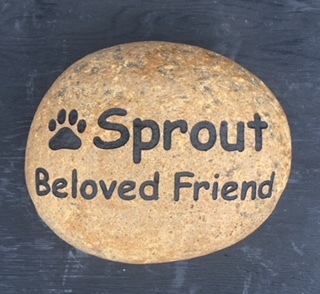 We realize one of the most difficult experiences is the loss of a pet. 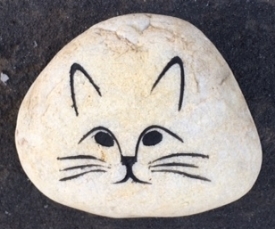 Such an empty gap is created. 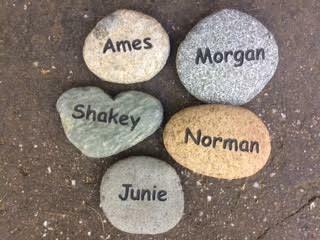 Everywhere one turns there is a memory. 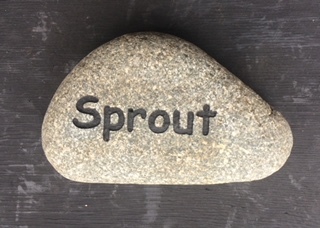 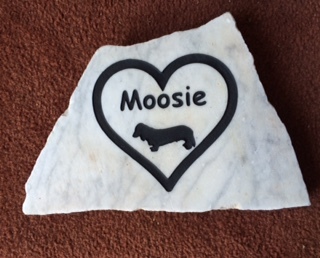 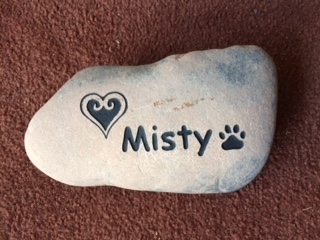 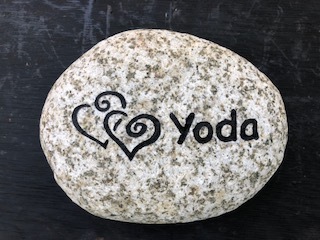 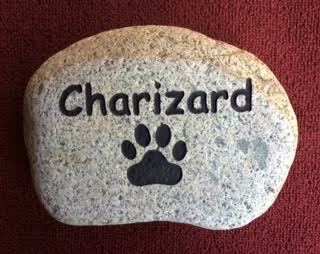 We have found making a rock as a memorial for a furry friend helps bring a smile to your face. 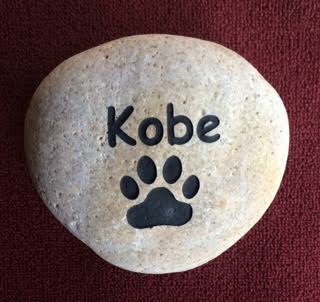 We would be happy to work closely with you to achieve the perfect piece. 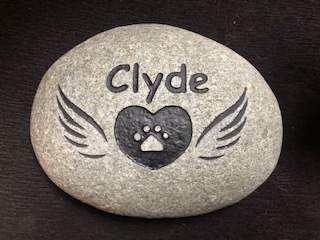 Your Pet Memorial can be a simple paw print, a name or something more detailed.